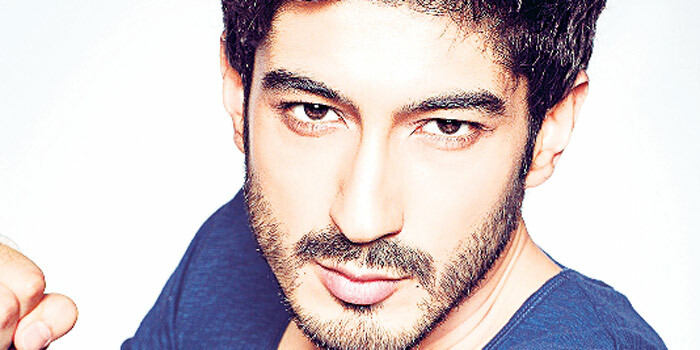 With his lineage, ita��s no surprise that Sonam Kapoora��s cousin, Mohit Marwah, is also hitching his wagon to the Bollywood star. Having made his acting debut in Karan Johara��s first short film, Strangers in the Night, the Delhi lad will be soon seen playing Dev in Kabir Sadananda��s Fugly, along with Jimmy Shergill, Vijender Singh and Kiara Advani. The 27-year-old, who honed his acting chops at The Lee Strasberg Theatre and Film Institute in New York, has also done a filmmaking course at Delhia��s Asian Academy of Film and TV. Marwah talks to us about his famous cousins and his movie. What does Fugly mean to you? Fugly is going to be the new anthem for the youth! Fugly for me is about friendship, fun and togetherness. Ita��s a term we can use every day, depending on how we feel and what the situation isa��you can be as creative as you want with the F. My first reaction when I heard the word was that it is very different and quirky. Was there a lot of pressure when you entered this profession, considering your illustrious family? The pressure was more from my end because I wanted to do well. I had to go through the grind, audition for the role and wait for my screen test. Only then was I chosen to play the part of Dev. How close are you and your cousins. Did they give you aA�lot of advice? Arjun and I grew up together. We cousins (Sonam, Rhea, Arjun and Anshula) hang out as a close group of friends. When we meet, we only discuss movies. I watch all of Arjuna��s films and I think I am more a critic than a fan. If therea��s something I dona��t like, I tell him honestly. But you cana��t take tips from anyone. Thata��s the funa��doing things individually. Fugly is scheduled to release on June 13.